The advance voting for the Finnish Parliamentary Elections of 2019 in Britain was possible from 3rd to 6th of April. In Britain there were in total 2494 voters, of which 1644 voted at the Finnish Embassy in London. The polling station at the Embassy in London was open from Wednesday to Saturday, when the rest of the eight polling stations around the UK were only open on Saturday, 6th April. In Scotland there was a new polling station open at Aberdeen, in addition to the one in Edinburgh. In total there were 2494 voters at the advance voting, of which 1644 voted at the Embassy in London. The busiest day was again Saturday. Even during the peak hours the voting went smoothly. Compared to the last Finnish Parliamentary Elections, more people voted in advance in the UK. In 2015 there were 2060 voters at the advance voting, of which 1406 voted at the Embassy in London. A possibility to vote by post was also be introduced in Finland in these Parliamentary Elections. Eligible voters living permanently abroad and eligible voters staying abroad during the advance voting period and on the election day have the right to vote by post. A voter wishing to vote by post is responsible for ordering the postal voting documents, voting, and returning the vote in time. If you voted by post at the parliamentary elections, your postal vote must arrive at the central municipal election board no later than on 12 April 2019 at 19.00. The Parliamentary Elections are held every fourth year and a total of 200 MEPs will be elected to the Parliament. 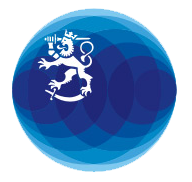 The Parliamentary Elections take place in Finland on Sunday, 14th April 2019. Also elections to the European Parliament (European Elections) will be held this spring, in May. Advance voting at European Elections will be organised in the UK from 15th to 18th May.